Jagdish Tytler has denied any role in the riots, was given clean chit by the CBI thrice in the case, but the agency was directed by the court to further investigate the matter. 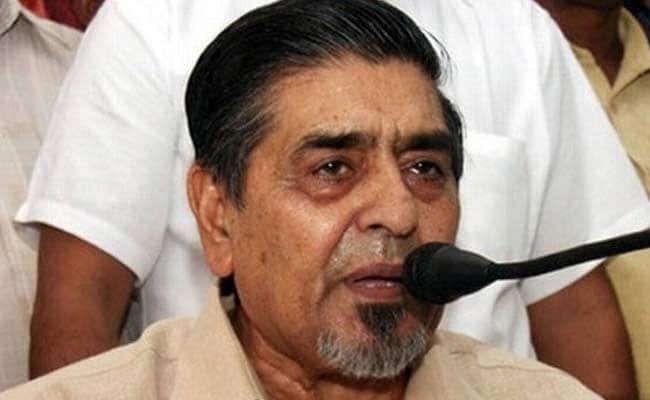 New Delhi: Congress leader Jagdish Tytler today refused to give consent to undergo a lie detection test in a 1984 anti-Sikh riots case in which he was earlier given a clean chit by the CBI on three occasions. Mr Tytler, in an affidavit filed before Additional Chief Metropolitan Magistrate Shivali Sharma, said he does not wish to undergo the test as sought by the CBI. The counsel for controversial arms dealer Abhishek Verma, a key witness in the case, told the court that his client was unwell and sought time for his personal appearance to explain the conditions for undergoing the polygraph test. The court granted time to Abhishek's counsel and listed the matter for June 2 for further proceedings. The court had on May 9 directed Mr Tytler and Abhishek to give an "unambiguous" reply on whether they wanted to undergo lie detection test. It had held that the CBI's plea for obtaining their consent for the test was maintainable. It had said if there were any conditions attached to the consent, Mr Tytler and Abhishek should appear in person for clarification. The CBI's move seeking permission to conduct polygraph test on Mr Tytler and Abhishek came in pursuance to the court's December 4, 2015 order in which it was mentioned that the lie-detection test may be conducted, if required. The case pertained to the riots at Gurudwara Pulbangash in North Delhi where three people were killed on November 1, 1984, a day after the assassination of then Prime Minister Indira Gandhi. Mr Tytler, who has denied any role in the riots, was given clean chit by the CBI thrice in the case, but the agency was directed by the court to further investigate the matter. The victims had filed a protest petition challenging the CBI's closure reports in the case.